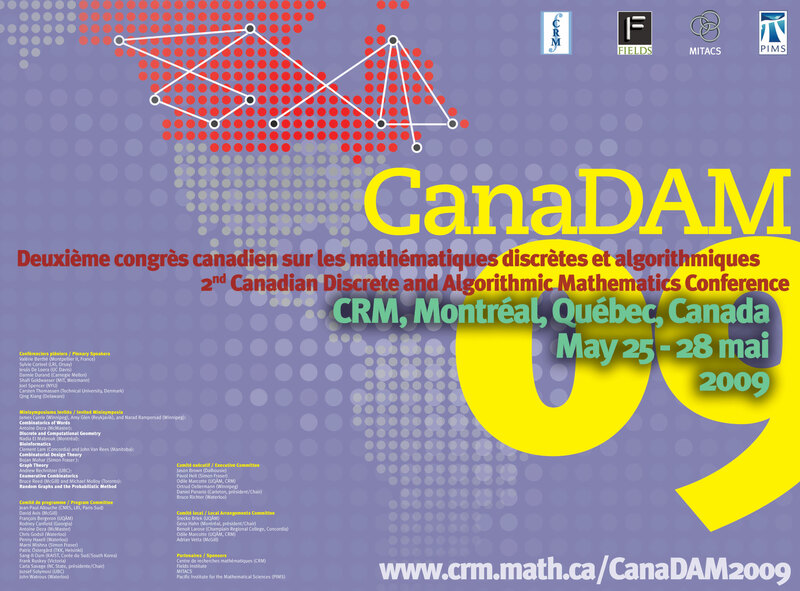 The 2nd Canadian Discrete and Algorithmic Mathematics Conference will be held on May 25-28, 2009, at the Centre de recherches mathématiques in Montréal (Canada). This will be the second conference in a new series on discrete mathematics that is held every two years (in the odd years) and has the same format as the SIAM Conference on Discrete Mathematics. The first conference in this new series was held in Banff (see canadam.math.ca/2007/).